They’ve met with Michigan Technological University, Finlandia University, Gogebic Community College and Keweenaw Bay Ojibwa Community College for plans to place CTE classes on the campuses. The post Expansion: CCISD Continues with Plans to Increase CTE Offerings appeared first on Tribal College Journal of American Indian Higher Education. Milo McMinn, coordinator of academics for Bond Wilson, said the classes were developed by the district and in collaboration with Raytheon Co., the Navajo Transitional Energy Co., North American Coal Corp.'s Bisti Fuels, the Arizona Public Service Co. and Navajo Technical University. The post CCSD Opens Bond Wilson Technical Center appeared first on Tribal College Journal of American Indian Higher Education. While tribal colleges often emphasize cultural heritage, 90 percent of American Indian or Alaska Native students attend institutions that serve broader populations. To provide a more inclusive setting for these students, the grant from Lumina will help establish cultural affinity groups and academic support resources at the 26 participating institutions. The post New Initiative Seeks to Unite Native-Serving Institutions appeared first on Tribal College Journal of American Indian Higher Education. Groundwater contamination, erosion, lack of access to healthy foods, and poor air quality are just some of the environmental concerns facing American Indian communities across the United States. The post American Indian College Fund Announces Recipients for Environmental Design and Stewardship Program to Restore Native Knowledge appeared first on Tribal College Journal of American Indian Higher Education. 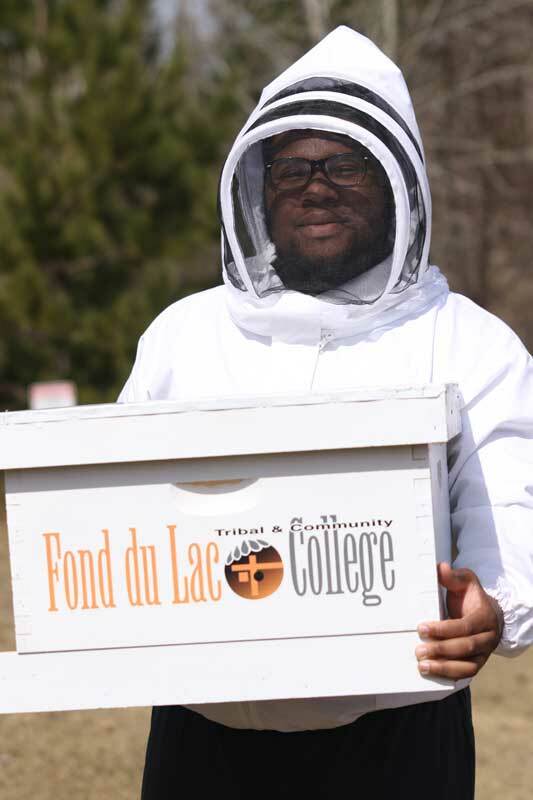 The post Fond du Lac Tribal and Community College Hosts Third Annual Beekeeping Workshop appeared first on Tribal College Journal of American Indian Higher Education. Tribal health officials, the Little Big Horn College and Crow elders helped get the production finished. The post Videos Teach Native Americans How to Check Their Blood Pressure in Their Own Languages appeared first on Tribal College Journal of American Indian Higher Education. The governor's bill did include funding for other Northland projects, including $775,000 for design and renovation of the "Start to Grow" facility at Fond du Lac Tribal and Community College. The post Dayton Proposes Bonding Bill; Mixed Bag for Duluth Projects appeared first on Tribal College Journal of American Indian Higher Education. Leech Lake Tribal College (LLTC) is pleased to announce that the American Indian College Fund has awarded the college $100,000 as part of the Scholarly Emergence for Environmental Design and Stewardship (SEEDS) program. The post Leech Lake Tribal College Receives Grant from College Fund for Environmental Education appeared first on Tribal College Journal of American Indian Higher Education. In 2017, tribal colleges and universities continued to move ahead with innovative programs, extending their reach in local communities and beyond. Below is a list of TCJ's most popular articles published this past year. The post The Year in Review appeared first on Tribal College Journal of American Indian Higher Education. For the third year running, the professor from College of Menominee Nation announces his top five films of the year. The post Five Native Films You Should be Streaming in 2018 appeared first on Tribal College Journal of American Indian Higher Education. After an incident about a year ago that saw gravestones yanked from their plots, Haskell Indian Nations University’s historic cemetery now has a taller, sturdier fence meant to protect the property from future vandals. The post Haskell Installs New Fence Around Cemetery After Vandalism appeared first on Tribal College Journal of American Indian Higher Education. Ten Lac Courte Oreilles Ojibwa Community College nursing students were pinned Friday, Dec. 15, at the college auditorium and are ready to serve their community in health care. The post Nursing Students Pinned at LCO College appeared first on Tribal College Journal of American Indian Higher Education. Brian McGinness now is working at United Tribes Technical College in Bismarck, where his department is starting a sustainable agriculture program, and Angela McGinness is pursuing a nursing degree. The post The Local Foods Scene appeared first on Tribal College Journal of American Indian Higher Education. A national spotlight shines today on the the archives at Oglala Lakota College in Kyle. The National Endowment for the Humanities tapped the collection as part of its 50 States of Preservation series highlighting small and mid-sized museums in each state of the union. The post Oglala Lakota College Archives Honored appeared first on Tribal College Journal of American Indian Higher Education. The post Humanities Montana Develops Partnerships for Language Revitalization appeared first on Tribal College Journal of American Indian Higher Education. Salish Kootenai College (SKC) had already been running a nursing and dental assistant program. To help train more qualified medical professionals, the college created the Allied Health department which began operating in the fall of 2016. The post Healthcare in Montana: Tribal Efforts to Heal the Consequences of Old Wounds appeared first on Tribal College Journal of American Indian Higher Education. Although HBCUs and tribal colleges are exempt from the completion requirement for now, it is important to note that some would be at risk if the measure were to be applied to them. The post Estimated Effects of the House Higher Ed Bill on Titles III and V appeared first on Tribal College Journal of American Indian Higher Education. 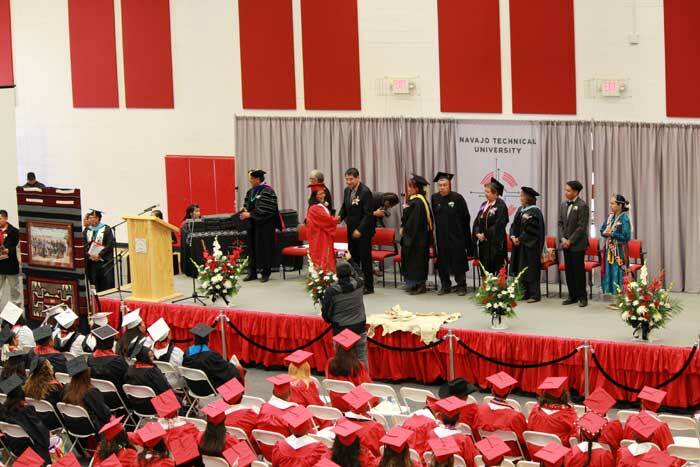 The post Navajo Technical University Honors Grads at Fall Commencement appeared first on Tribal College Journal of American Indian Higher Education. Dr. Halvorson has worked as an agri-business and science instructor at Sitting Bull College (SBC) since 1997. He was SBC Division of Agriculture Director from 1998 to 2014. He has been director of Sitting Bull Laboratories since 2006. The post Gary Halvorson, PhD, Honored by Marquis Who’s Who for Professional Excellence in Soil Science appeared first on Tribal College Journal of American Indian Higher Education. A Montana Space Grant Consortium team that included students from MSU, University of Montana, Chief Dull Knife College and Miles Community College launched 19 of the helium-filled balloons before, during and after the eclipse from locations near Fort Laramie, Wyoming. The post MSU Researcher to Present Initial Scientific Findings from Eclipse Ballooning Project appeared first on Tribal College Journal of American Indian Higher Education.